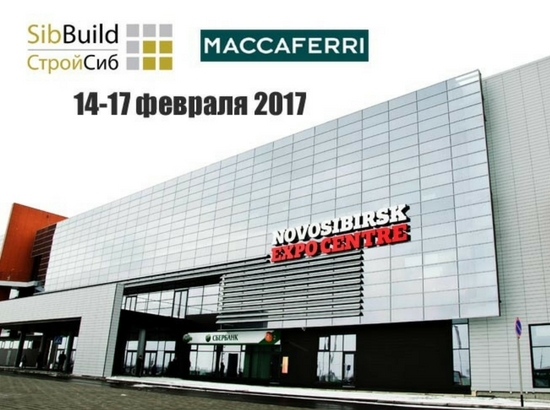 The annual exhibition of building and finishing materials will take place on February 14–17, 2017 in Novosibirsk. SibBuild is an excellent platform for business communications and it will bring together a multitude of managers and specialists from Siberian wholesale, retail and construction. SibBuild was arranged by the international exhibitor ITE, focusing on industry-specific events in the largest regional cities of Russia, i.e. Novosibirsk, Krasnodar and Yekaterinburg. The business programme for the event will enable visitors to check out new materials and current trends in the construction industry and take part in workshops and discussions to consider ways the construction market can evolve. This year we will be demonstrating our range of drainage geocomposities — MacDrain. Maccaferri's range of MacDrain geocomposites replaces traditional materials (sand or crushed stone/gravel) in civil and transport engineering. They are capable of providing one or more main functions: filtration, drainage, separation, barrier and protection and can be used in landfills, as well as agricultural and sports facilities. Analysis of the MacDrain® W1091 geocomposite used as planar drainage in the road embankment proved a 48% reduction in construction costs when compared to the traditional sand and gravel fills. According to our calculations, a layer of MacDrain® W1091 can replace a 30cm layer of sandy gravel. Visit our booth B219 and see the construction materials produced at our own factories in Kurgan and Zaraysk (Moscow Region). Contact us and arrange to meet us at SibBuild-2017!